Abstract Post-translational modification, such as protein phosphorylation, plays a critical role to reversibly amplify and modulate signaling pathways. 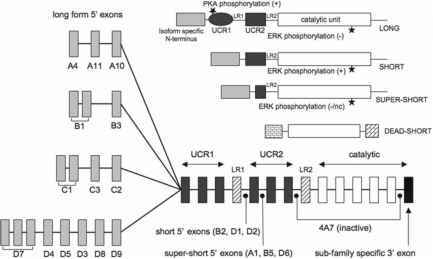 Since kinases and phosphatases have broad substrate recognition motifs, compartmentalization and localization of signaling complexes are required to achieve specific signals. Scaffolds are proteins that associate with two or more binding partners and function to enhance the efficiency and/or specificity of cellular signaling pathways. The identification of scaffolding proteins that control the tempo and/or spatial organization of signaling pathways in cells has benefited enormously from recent technological advances that allow for the detection of protein-protein interactions, including in vivo in intact cells. This review will focus on scaffolding proteins that nucleate multi-protein complexes (and could represent novel entry points into signaling pathways that might be amenable to therapeutic manipulation) in cardiomyocytes.